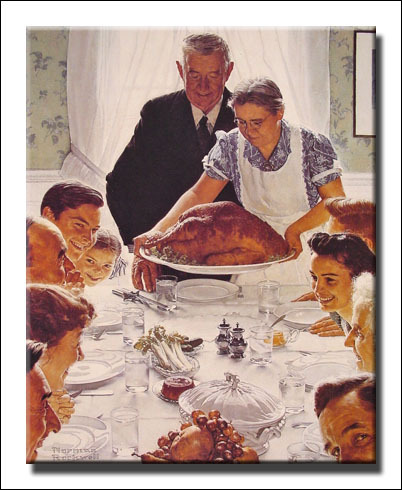 When I was growing up, we spent many a Thanksgiving and Christmas at grandpa’s house. Thanksgiving was a much anticipated and happy time. We would often leave home on Wednesday afternoon after dad got home from work. It was a long 7 hour drive to Grandpa’s house in those pre-interstate highway days, so it would be really late by the time we arrived. Gettsyburg Address, first draft, page 1, handwritten by Abraham Lincoln. Click to see a larger version. There are five verified copies of the Gettysburg Address that were handwritten by Abraham Lincoln, all with somewhat different wording. Two of them were written before he gave the Gettysburg Address and three of them after the address. How Many Words in the Gettysburg Address? 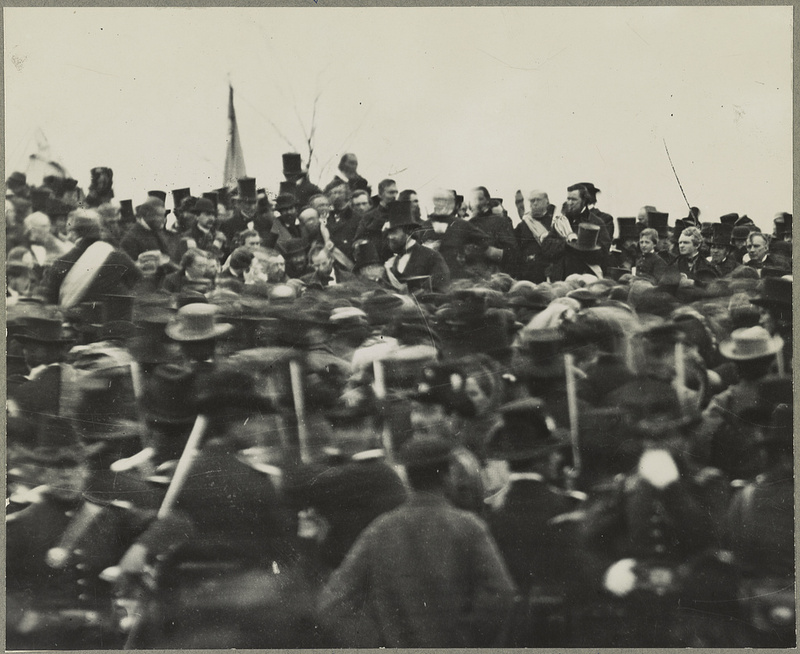 Lincoln at Gettysburg. Lincoln is seated with his hat off and to the left of the tall man with the top hat (detail below). Click to see a larger version. How many words are there in the Gettysburg Address? 269 or 272? 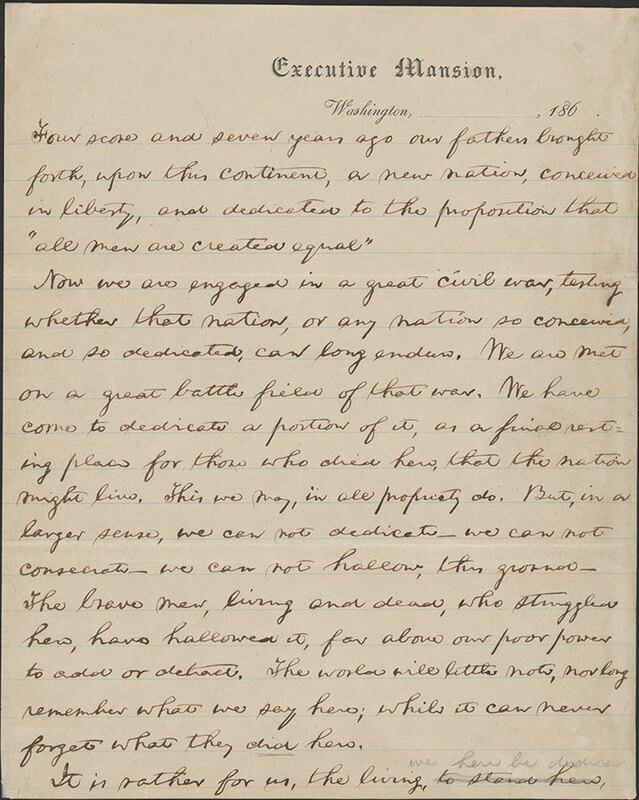 Today is the 150th anniversary of the Gettysburg Address. After watching a long list of YouTube videos, I picked this one as my favorite reading of the address. It is “recited by some of the best voiceover talent in the country: David McCullough, Ken Burns, Sam Waterston, Matthew Broderick, Stephen Lang and Medal of Honor recipient Paul W. Bucha. Musical score provided by Oscar-winning composer John Williams. Video was created in opposition to a proposed casino 1/2 mile from the Gettysburg National Military Park.” The voice over talent and other participants volunteered their services. 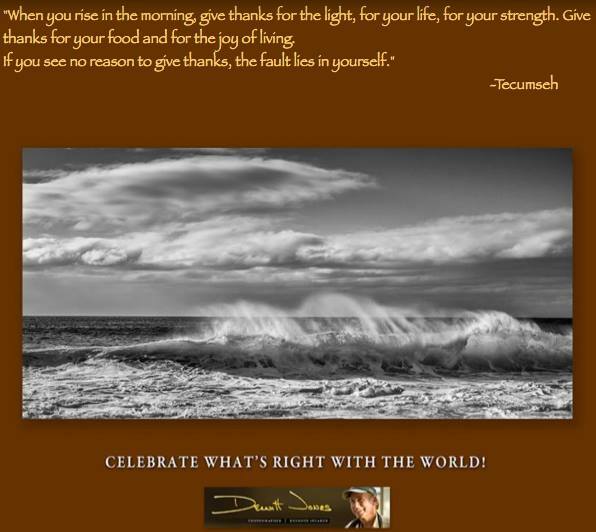 Once a week I receive a “Celebrate What’s Right With The World” photograph from Dewitt Jones, and you can too.